Sunday Morning Wake-up Call host Rick Moore asks local residents about their memories of the August 11/12, 2017 Unite The Right Rally in Charlottesville, and about their plans for August 12th this year. Participating in today’s broadcast (in order of appearance): Clara, Walter Heinecke, Lisa Provence, Christina Rivera, Eze Amos, Cynthia Neff, Lynn Windsor, John Herrmann and Dave Norris. 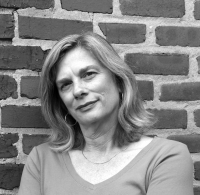 Sunday Morning Wake-up Call host Rick Moore talks with C-ville Weekly journalist Lisa Provence about current events in Charlottesville and Albemarle County. Topics include: The recent drama at Charlottesville City Counsel meetings. Also, Lisa’s interviews with Dan Rather and Katie Couric. 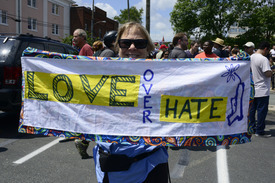 Sunday Morning Wake-up Call host Rick Moore talks with Cville Weekly’s Lisa Provence about recent events in Charlottesville and Albemarle County. Topics include: The Lee Park controversy and this week’s primary election. Sunday Morning Wake-up Call host Rick Moore talks with C-ville Weekly news editor Lisa Provence about the publication’s recent article Censorship or civility? Debate about new City Council procedures rages on. Also, Robert Davis is discussed. Robert is the Crozet teen who confessed to multiple killings after being questioned by police for hours. Davis was pardoned in December 2015. The Sunday Morning Wake-Up Call is heard on WPVC 94.7 Sunday mornings at 11:00 a.m.The station is looking for volunteers. Apply here if you are interested in volunteering.